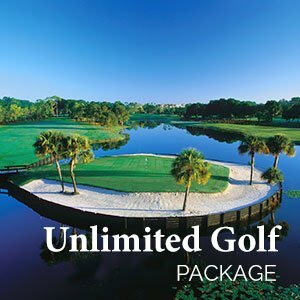 The price for the Unlimited Golf Spectacular Package starts at $232 per person per night double occupancy. Two-night minimum. Gratuity, tax and resort fee are not included. Suite, villa, single occupancy and non-sportsman rates available on request. The price is per person per night based upon double occupancy; two-night minimum required. Some blackout dates apply. Resort fee, gratuities and applicable taxes are extra. Based on double occupancy, 2-night minimum.